Alább hívnám fel a figyelmet a Laserlab-Europe által szervezett iskolán való részvétel lehetőségére. 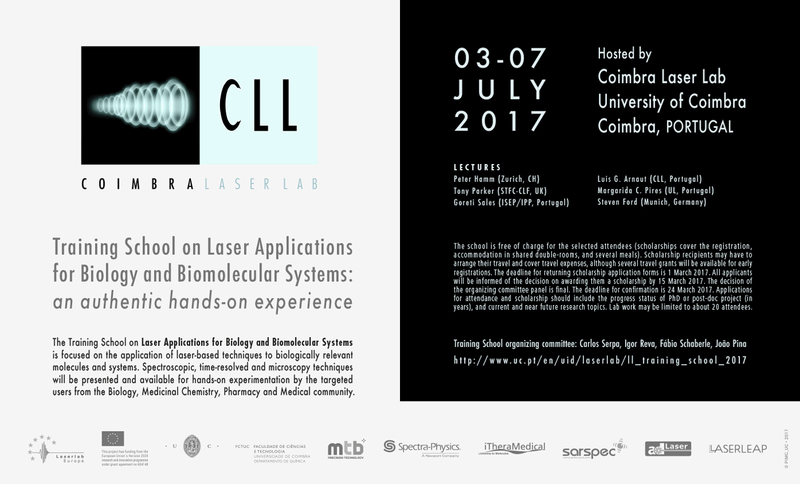 The Laserlab-Europe Training School on Laser Applications for Biology and Biomolecular Systems is focused on the application of laser-based techniques to biologically relevant molecules and systems. A number of lectures on the school's field of application will be given by renowned invited scientists. Spectroscopic, time-resolved and microscopy techniques will be presented and available for hands-on experiments by the targeted users from the biology, medicinal chemistry, pharmacy and medical communities. Students with a background in physics or chemistry with the objective of studying biomolecular systems are also welcome. The school is free of charge for the selected attendees (scholarships cover the cost of the school, accommodation in shared rooms and meals). Lab work may be limited to about 20 attendees. Scholarship recipients may have to arrange and pay for their own travel costs to the event, although a number of travel grants will be available for early registrations. The deadline for receiving scholarship application forms is 1 March 2017.